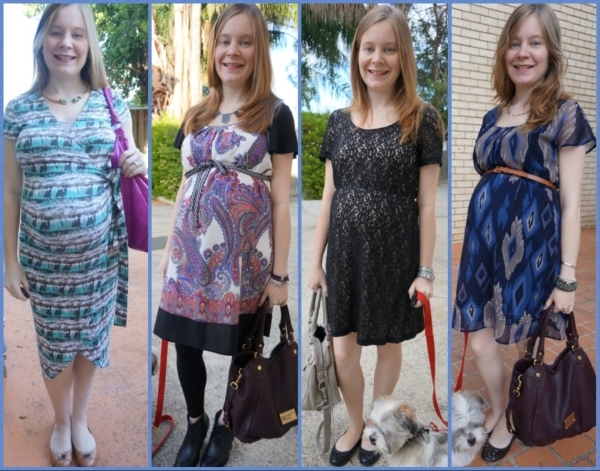 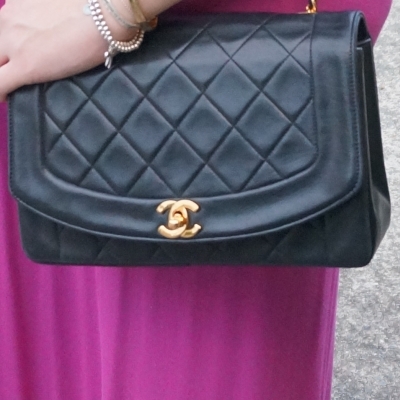 Baby has arrived, but I've got a couple more pregnancy outfits scheduled to share on the blog. 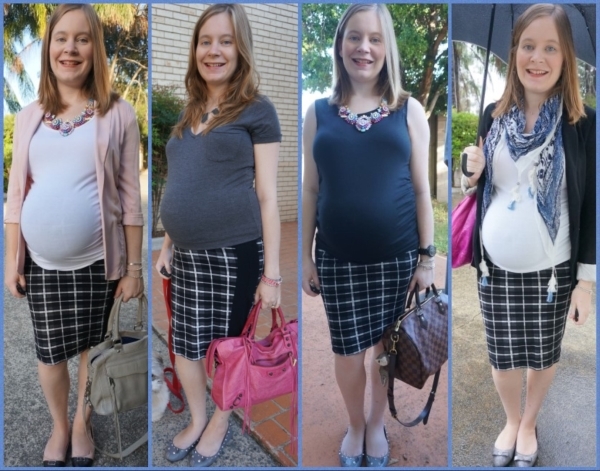 The benefit of being so behind with blogging was that I could schedule a lot of posts to carry me over the newborn time, when getting dressed into 'proper' clothes isn't high on the list of priorities! 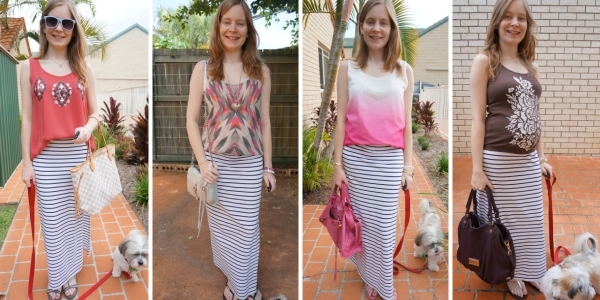 It was such a hot and humid few days when I wore these outfits. 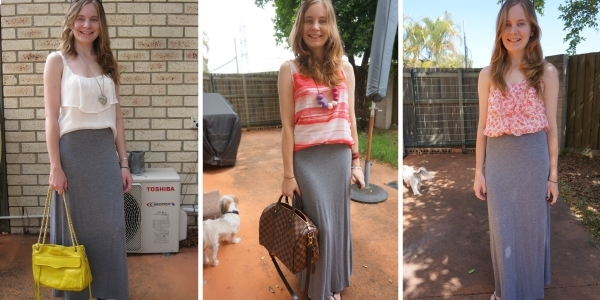 I felt comfortable in them but wasn't in the best mood when taking photos. 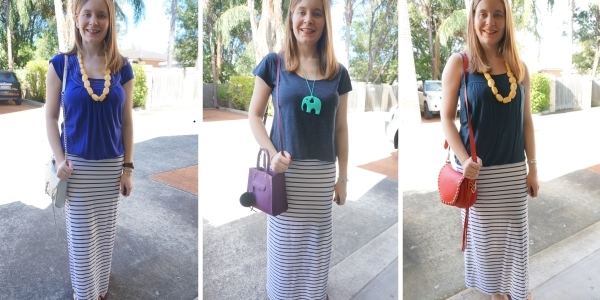 I just setup the camera and clicked, not realising that my necklaces were a little screwed up in both photos. 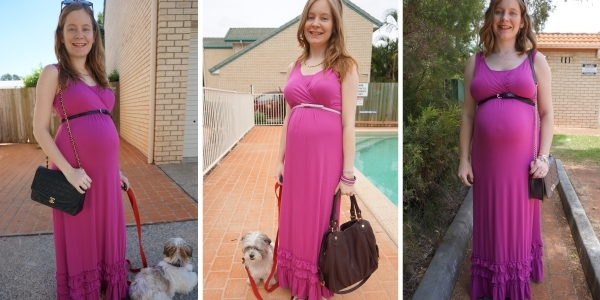 Real life is never perfect though, so I'm sharing them anyway. 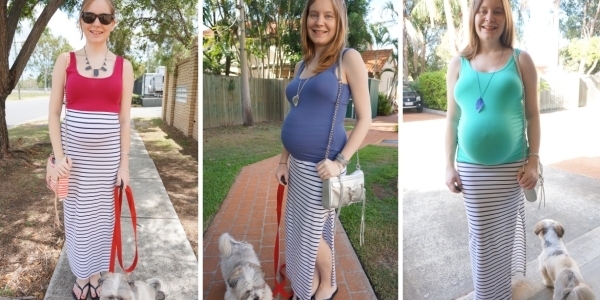 And at 39 weeks pregnant, you just want to get out the house, do what you have to do, then go home and nap when the toddler does! 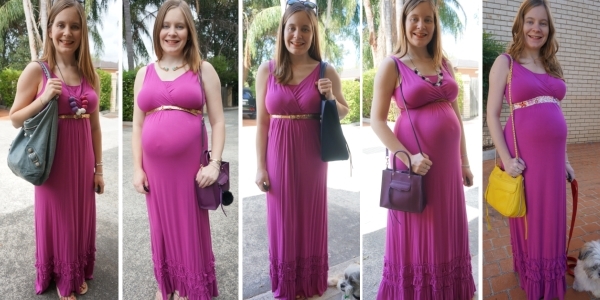 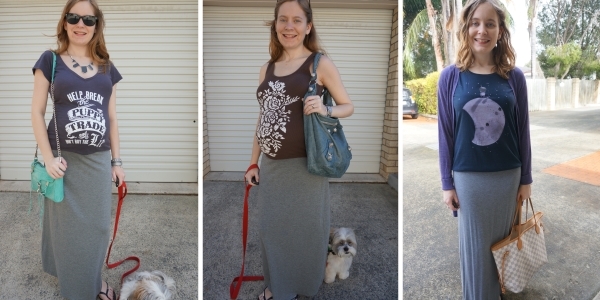 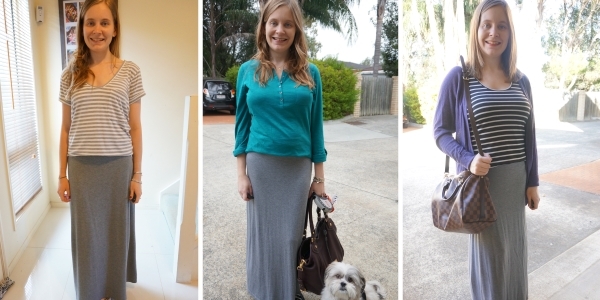 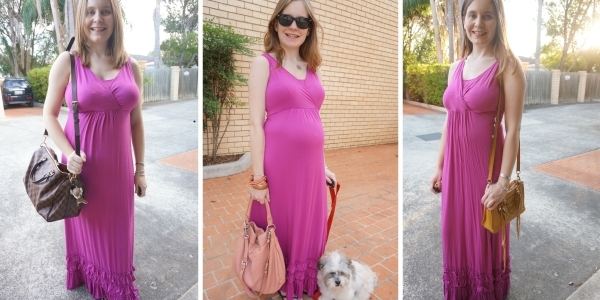 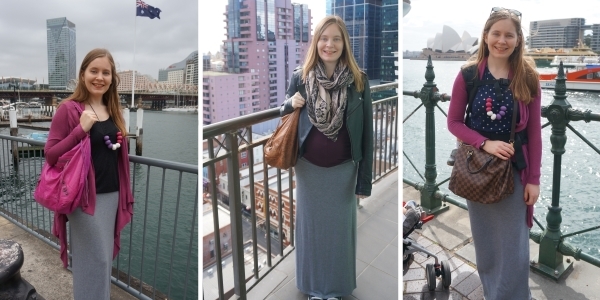 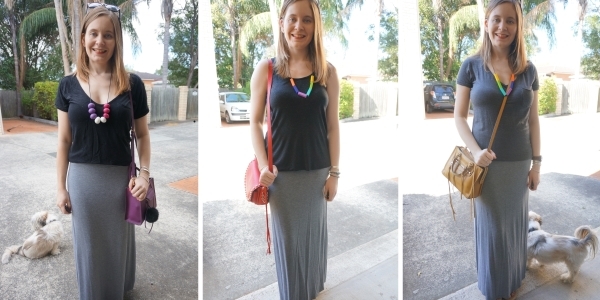 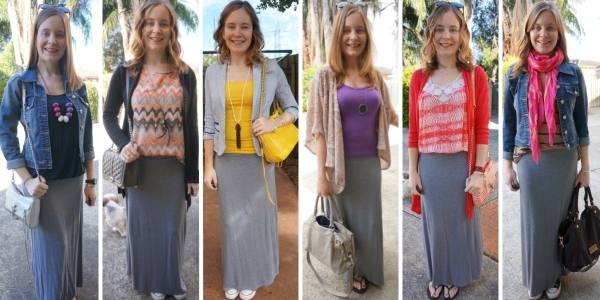 I was surprised to find I hadn't worn this tank and maxi skirt before - guess I had a few more outfit options in my third trimester capsule wardrobe than I thought! 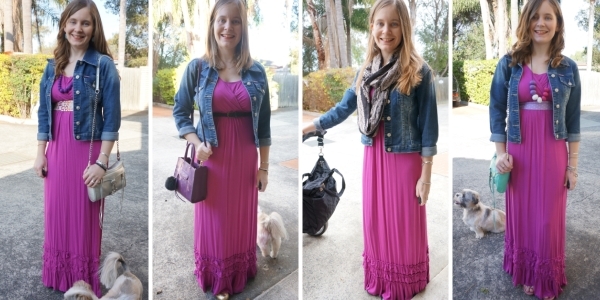 This was perfect for a morning out with hubby and toddler T. Unfortunately there was a minor car accident on the way to toddler T's swim lesson, but thankfully just superficial damage to the car as it was stopped at the lights at the time the other driver hit it. 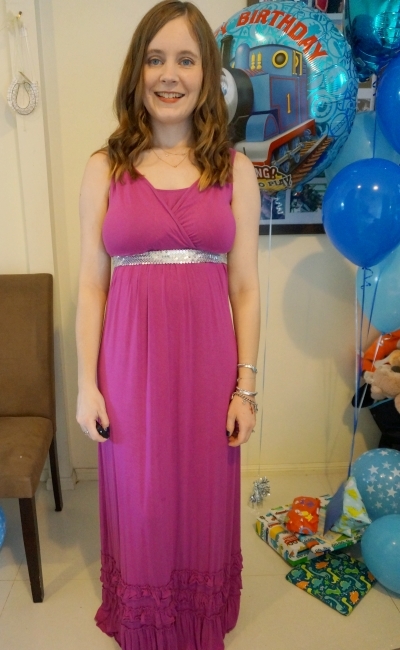 Everyone involved was fine, and we will be able to get the scratches fixed at a later date once baby has arrived. 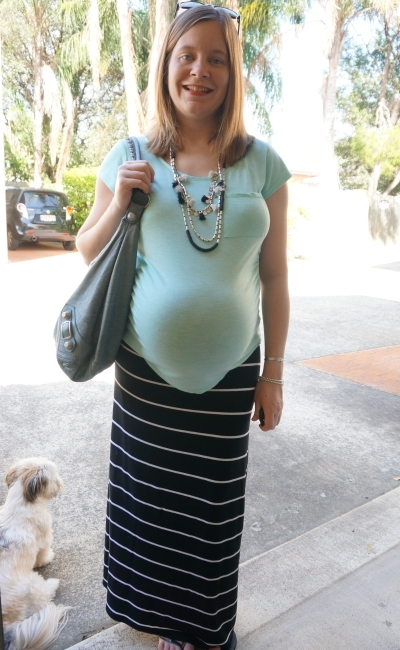 Booking the car in for a repair and being car-less when going into labour was not a fun prospect! 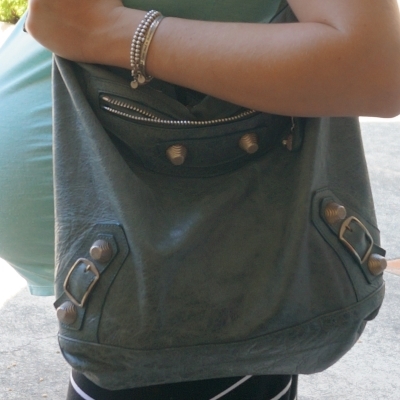 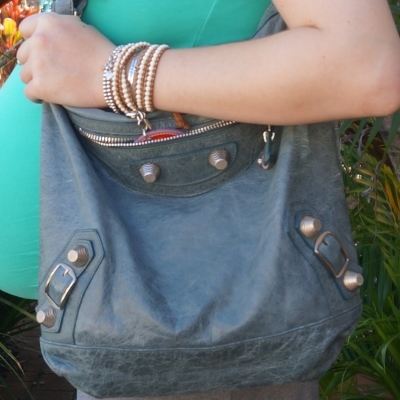 Last worn: Ray-Ban Wayfarer, green maternity tank, grey maxi skirt, Havaianas, Balenciaga tempete day bag. 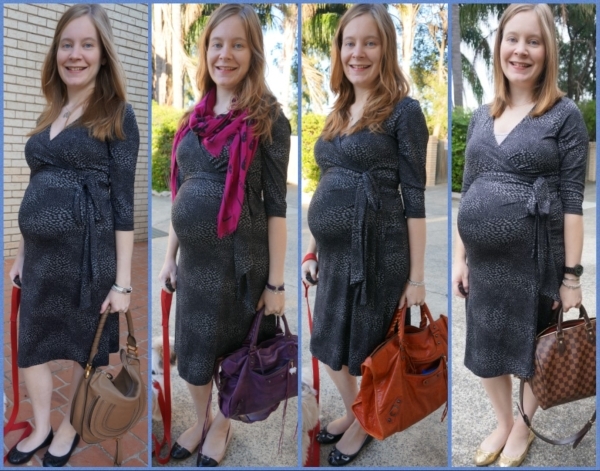 Other ways to wear: green maternity tank and lace kimono, grey maxi skirt and a black tank, Balenciaga tempete day bag and a printed maxi dress. 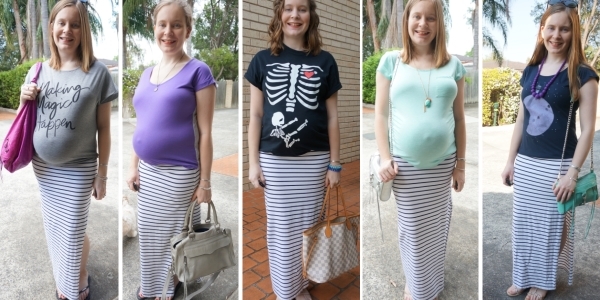 At 39 weeks, this top is being pushed to the limits (even though it's a maternity tee!) 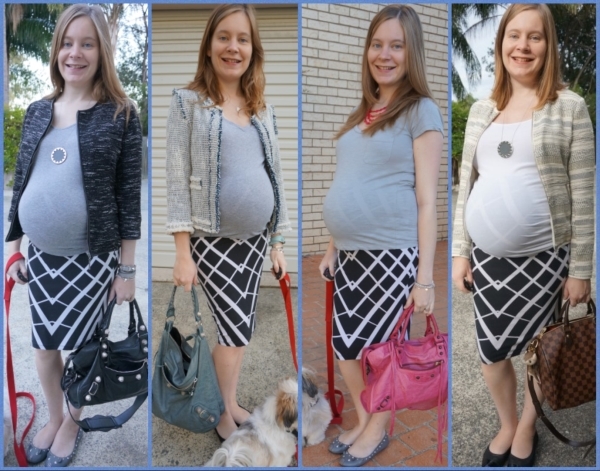 as baby has really dropped down. 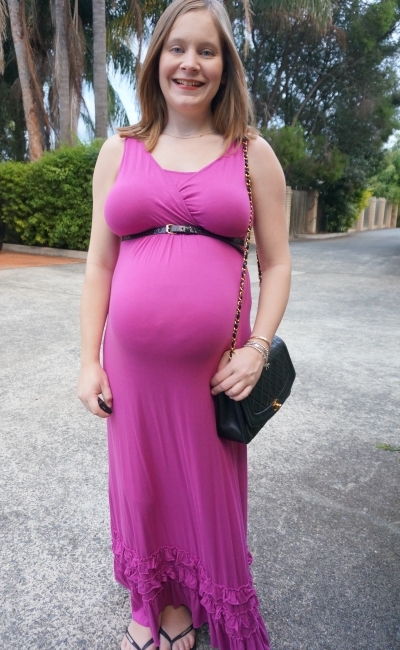 The bottom hem isn't as fitted or elasticated as the tank above so it doesn't fit snugly under the bump any more. 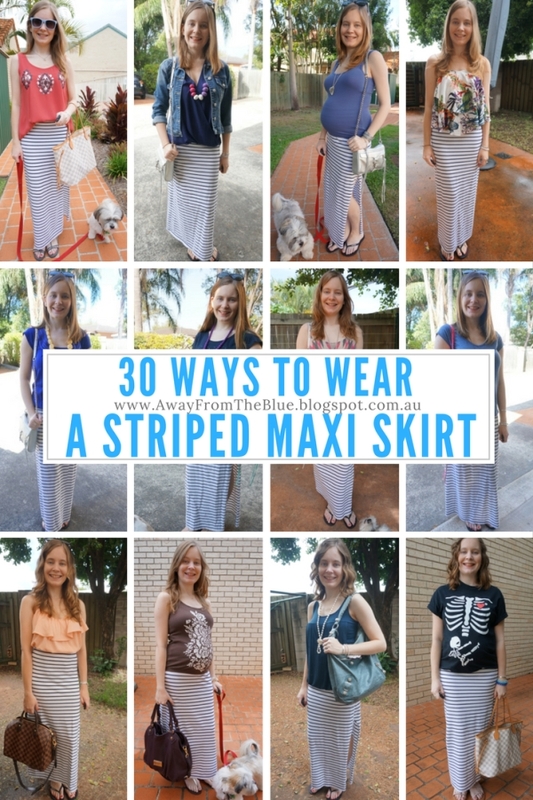 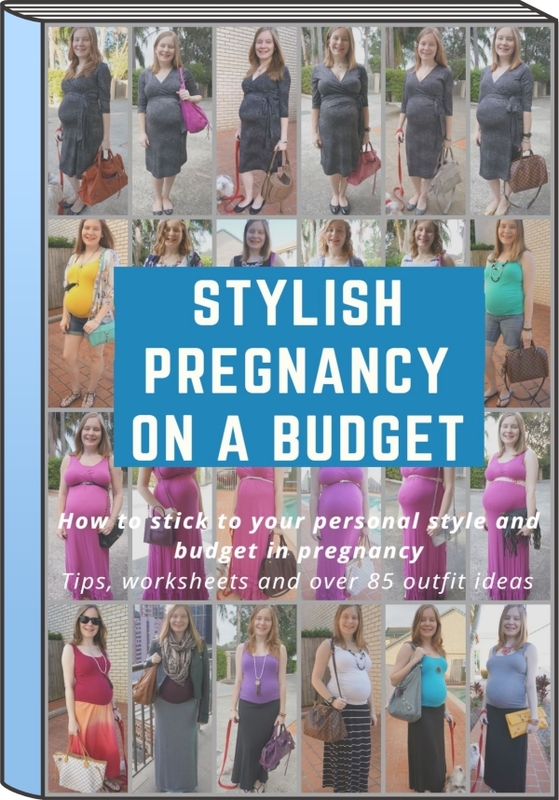 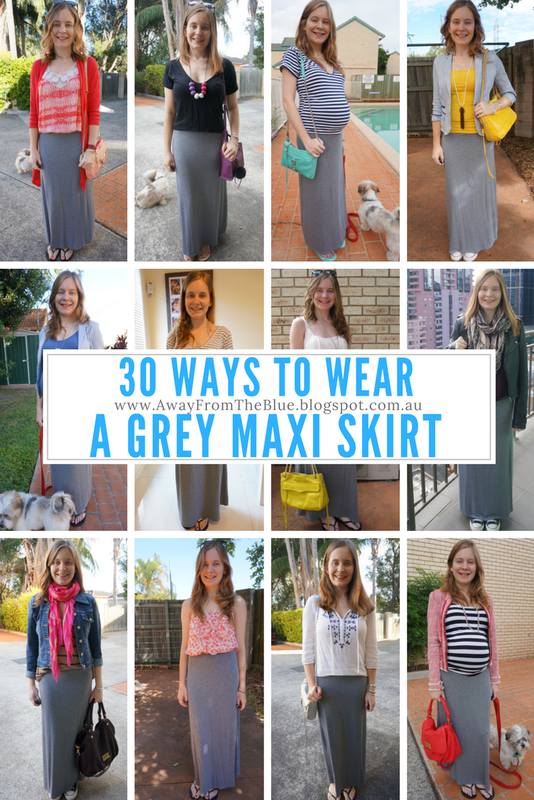 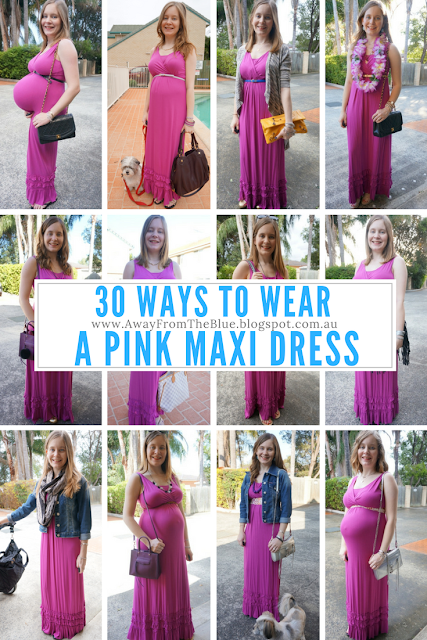 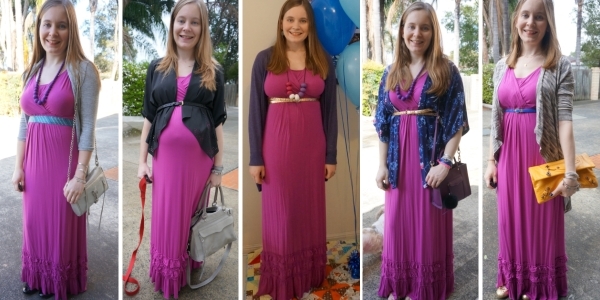 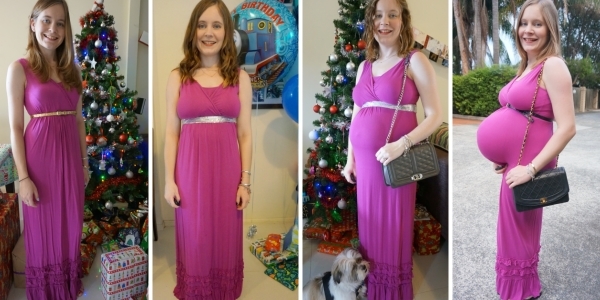 Just as well the stretchy elastic waist of the maxi skirt lets me wear it a little higher around the bump so I'm not flashing any baby belly out in public! 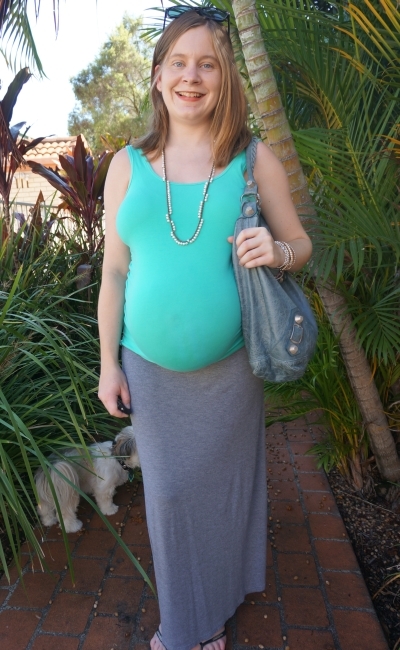 Wore this to run a few more errands, stocking up the house with more food before baby's arrival. 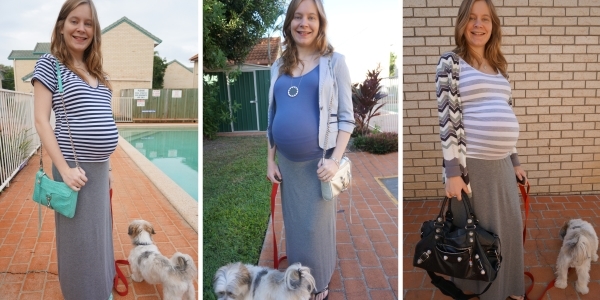 We'd been grocery shopping the week before but hadn't wanted to buy too much food, just in case I wouldn't be home to eat it. 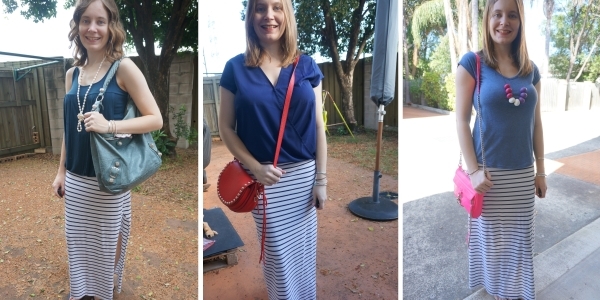 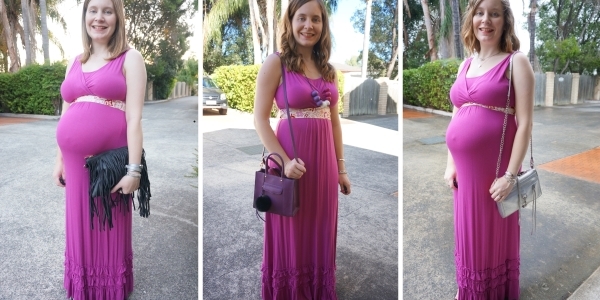 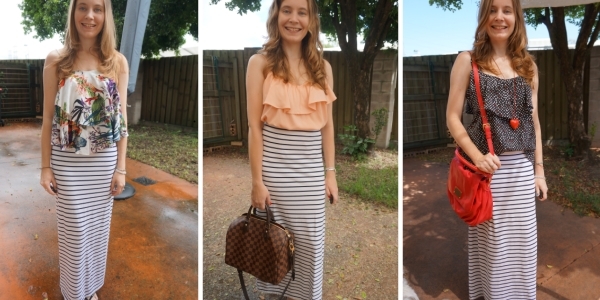 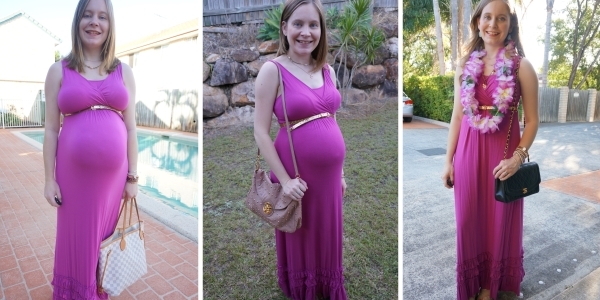 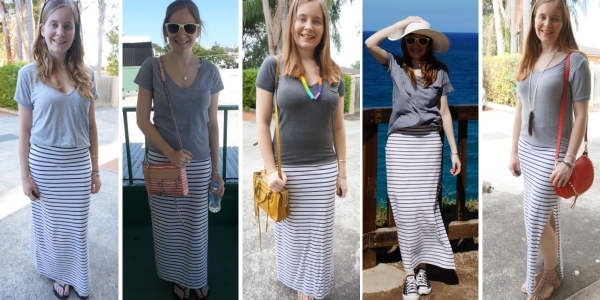 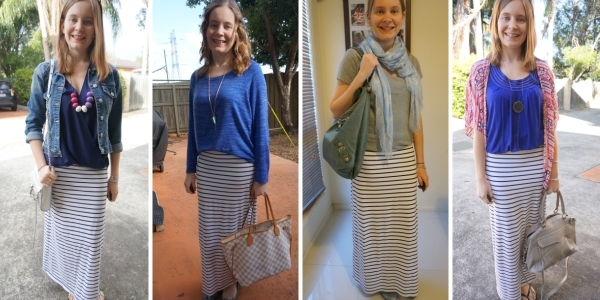 Last worn: maternity tee, striped maxi skirt, Havaianas (above), Balenciaga tempete day bag (above). 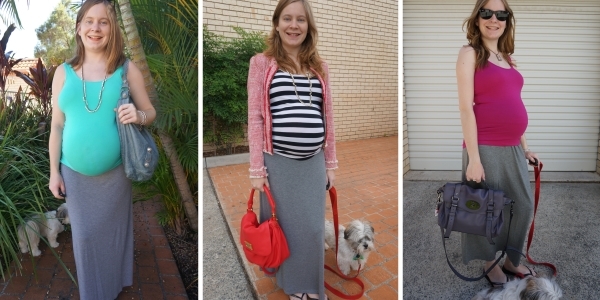 Other ways to wear: maternity tee and pencil skirt for the office, striped maxi skirt in winter without a baby bump, Balenciaga tempete day bag and burgundy pants. 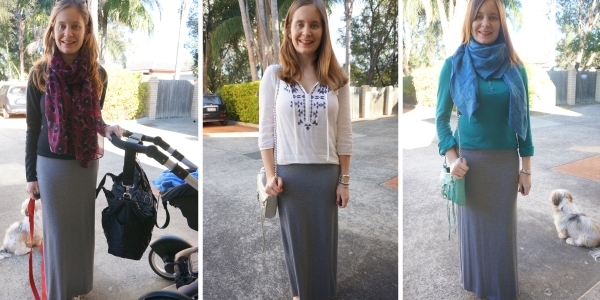 Linking up with Fun Fashion, Weekend Linkup, Fabulous Friday, Weekend Wear, Fab Favourites., Passion for Fashion, Modest Monday.